Gain a single view into capital expenditures, partner transactions, royalty payments, and profitability activity across the entire energy value chain. Rely on purpose-built accounting for energy companies. Why use generic software when you can entrust your business to purpose-built accounting for energy companies? With 20 years of industry experience, Quorum understands your business like no one else. Simplify property ownership with full title DOI. Approve AFEs in just seconds from a mobile device. Track costs anytime, anywhere, from any device. Unite operations with integrated, end-to-end energy accounting across the entire energy value chain. Automate your production accounting with myQuorum Revenue Accounting. myQuorum Revenue Accounting gives you the speed and accuracy you need to maintain compliant and efficient operations with automated check processing, adjustment processing, and valuation. Manage and account for monthly production volumes, product sales, and distribution of sales revenue to well owners. Unite accounting operations with a single source of truth. Maintain ownership within a property using the full title DOI and track changes over time with effective-dated history. Rethink the way you maintain property ownership with myQuorum Division Order. Use myQuorum Division Order to establish and maintain revenue and billing decks, define royalty burdens, and account for special owner distribution and exemption scenarios. Efficiently manage production revenue disbursements through process automation. Manage assets, capital expenditures, monitor and approve project budgets, track and bill partners, and view well profitability. Improve the profitability of your operations with myQuorum Cost Accounting. myQuorum Cost Accounting gives you the tools you need to set and track costs across projects, including partner-related expenses. Its integration with Financial and Revenue Accounting features give you a powerful, integrated solution. Rely on Quorum BPO for all of your accounting and reporting needs. approve AFEs, and monitor project budgets from any device with myQuorum AFE. Transform your accounting operations with myQuorum AFE. myQuorum AFE lets you access and approve AFEs anywhere, anytime, from any device. Simplify, streamline, and unite back-office processes with field operations. Get the information you need faster and in fewer clicks, so you can deliver better financial results. Transform accounting operations by simplifying, streamlining, and uniting back-office processes with field operations. Approve, track, and audit AFEs and budgets anytime, anywhere, and from any device. Monitor shared profits and expenses over the course of a project, and compile automated billing statements for partners. Streamline your joint venture operations and partnerships with myQuorum JIB. myQuorum JIB enables you to account and bill for shared expenses and profits down to the well level. Its integration with Quorum Financial and Revenue Accounting functionality helps ensure you remain audit-ready. Integrate G/L, AP and AR with other accounting functions for a powerful combined single-source accounting solution. Unite your accounting operations into a powerful, combined solution. myQuorum Financial Accounting integrates with Cost and Revenue Accounting functionality, allowing you to easily digitize your general accounting processes and workflows while improving efficiency and transparency. Generate built-in, ad hoc, or custom reports to view and present financial and regulatory data to stakeholders and other groups. Unleash the power of Quorum’s reporting and compliance on your financial data. View and present the information you want exactly how you want it with your choice of reporting tool or take advantage of our standard reporting library. Track projects and owner history from start to finish to ensure compliance. Your data. Your choice. Generate Trial Balances, Income Statements, Balance Sheets, etc. Calculate and control project costs from any device. Real-time budgeting and reports help you manage current and plan future projects and partnerships. Every dollar counts. Our software helps you predict and report project and company profitability. Control spending by setting budget limits and monitoring spend as well as manage assets and inventory, maximizing your bottom line – from any device. Modernize your accounting operations. myQuorum Accounting automates key pieces of your close processes such as check processing, rebills, valuation and distribution, workflows, and more. It reduces input errors and increases compliance, giving you confidence in the quality of your data. Engage in profitable joint ventures and partnerships. myQuorum Accounting functionality, including Joint Interest Billing (JIB), helps you drill into JV activity, ensuring that you properly billed and received payment for shared costs. Create and present financial reports in any format. Use ad hoc, custom, or standard reports to view the status of your operations, prepare monthly or annual reports, determine future E&P activity, and more. Replace your myriad of systems and spreadsheets. 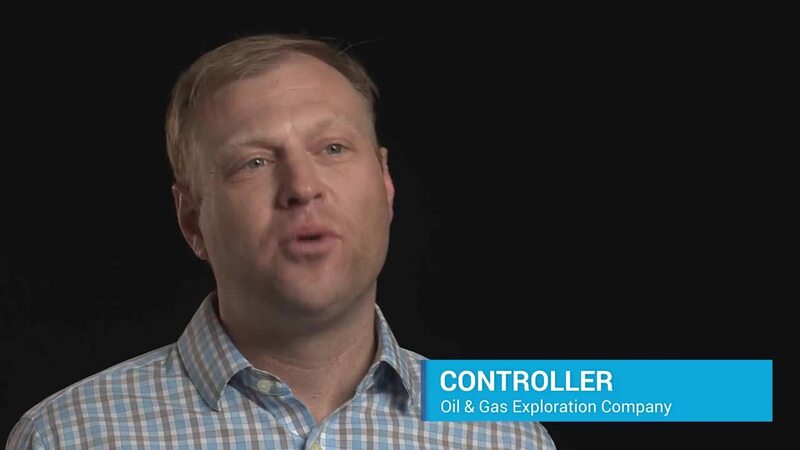 myQuorum Accounting gives you one platform and vendor to manage all your accounting operations from AFEs to DOI transfers to financial statements—and its built specifically for oil and gas. Learn how to gain a single view into accounting operations.